Fencing is the sport of swordplay. The history of fencing is as old as mankind. When a clever opponent blocked the swing of a club, fencing was born. The evolution of fencing from the club to electric foil took many centuries and eventually became a competitive individual and team sport that anyone can participate in. The main object of a fencing bout (what an individual "game" is called) is to effectively score 15 points (in direct elimination play) or five points (in preliminary pool play) on an opponent before they score that number on you. There are three fencing disciplines, separated by the different weapons used. The foil has a light, flexible blade with a rectangular crosscut. Foils are about 35 inches long and weigh less than 16 ounces. To score a point, a fencer must touch his or her opponent’s torso with only the tip of the blade. The target area does not include the head, neck, arms and legs. The saber is descendent of a slashing cavalry sword and about the same length and weight as the foil. Though the saber is a thrusting as well as a cutting weapon, cutting is the primary means of scoring in saber bouts. The target area is from the opponent’s waist line up to the head. Though one thinks of the saber as having a heavy chopping blade the modern weapon is quite light, weighing about a pound. While it is not unusual for fencers to compete in all three events in local competitions, they generally choose to develop their skills in one weapon to compete nationally and at the international tournaments. 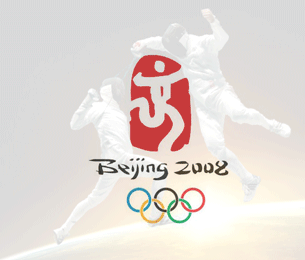 Fencing is an Olympic Sport and has been in every modern Olympiad since its creation. In Canada it is governed by the Canadian Fencing Federation and in each province there is a provincial fencing association. The area fencers compete on is called a Strip. In dueling the antagonists often circled each other, but in modern fencing the area of competition is now long and narrow. The fencing strip is two meters wide by fourteen meters long. Competitions are held for both men and women separately but sometime are mixed specially for the beginners. Competitions are also grouped by weapon and age. Like many martial arts, fencing is surrounded by a certain amount of courtesy and ceremony, and of course the tradition of the genteel fencer descends directly from the nobleman who first practiced the art. For all the poking and slashing, fencing is very safe sport. Fencers wear regulation protective gear on their bodies and faces at all times during play. The object of the sport is to earn points by scoring touches within the target area, never to cause harm or injury. Fencing is potentially one of the most enjoyable of all exercise forms. Most importantly, fencing is good exercise both for the body and the mind. It is very challenging as well as fun. Fencing is an all-year-round activity: ideal for the wet, cold days of winter when outdoor sports are not so popular. It's open to anyone who welcomes a challenge both mental and physical. People of all ages, from 7 to 70 and beyond, can enjoy the benefits of fencing. Improved coordination, great cardiovascular fitness, sharpened reflexes, muscle tone, poise, and confidence all develop quickly with a good fencing program. Regular fencing training provides an interesting aid to improve general fitness suitable for people of all ages. To many, fencing might seem a wild and furious activity. In fact it is a sport that requires a good deal of control and discipline. To be effective a fencer must master very specific rules and techniques. Sometimes called "physical chess", fencing is largely a contest of mental agility. While physical ability is important, its mental aspects make it a sport suitable for a wide range of ages and physical abilities. Just about everyone can exploit some personal characteristic to her or his advantage. Most universities have fencing teams, and adult competitions are held between clubs all over the country and the world. The sport requires no prior skills but fencers soon develop keen reflexes, balance and the ability to outwit their opponent in a game that is often referred to as "lightning chess". Fencing has been a competitive sport in every modern Olympic Games since 1896, and is one of only four sports with this distinction. Baron Pierre de Coubertin, the founder of the modern Olympics, was himself a fencer. He wanted to include horseback fencing in the Olympic program! According to a U.S. News and World Report survey, the tip of the sword is the second-fastest-moving object in Olympic sports-the bullet is first. At least one ancient Egyptian temple features a painting of a fencing match. The painting dates back to 1190 B.C. !